What exactly makes them Chocolates of Vermont? 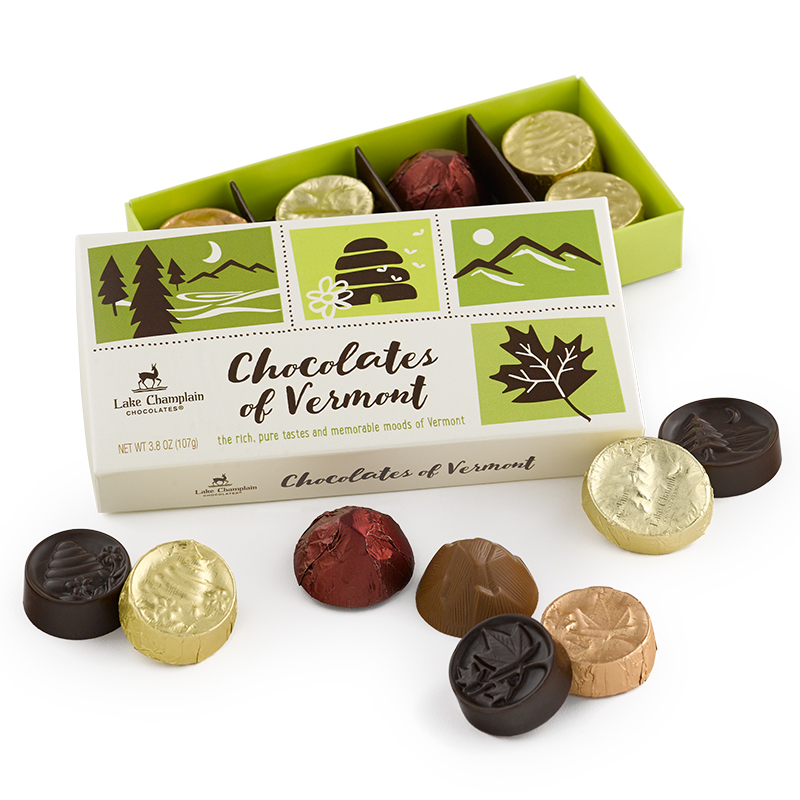 We take the highest quality Vermont ingredients like pure maple syrup, fresh cream, and local honey and handcraft them into chocolates that evoke the seasons of Vermont. This perfect "from Vermont" gift features our iconic Maple Crunch, Evergreen Mint, Honey Caramel and Greet Mountain beautifully packaged all-occasion gift box with ribbon.